"Situations emerge in the process of creative destruction in which many firms may have to perish that nevertheless would be able to live on vigorously and usefully if they could weather a particular storm"
is one of the Commissioners of AGCOM, the Italian communications regulatory Authority. He also lectures on International Trade Law at the Faculty of Economics, Management and Statistics of the University of Bologna. He worked as an EU servant for over 20 years. His career started in the European Parliament and culminated at the European Commission, where he moved in May 2008 to become Head of Cabinet to the Vice-President of the European Commission Antonio Tajani, in charge of Transport during the first Barroso Commission and in charge of Industry and Entrepreneurship during the second Barroso Commission. Between 1992 and 2008 he held various positions in the European Parliament including Parliamentary Advisor to the European People’s Party’s group on the Committee on Legal Affairs and the Internal Market, Principal administrator of the EP’s Secretariat-General, Team leader in charge of EU internal affairs in President Hans-Gert Pöttering’s cabinet and Advisor for Legal and Legislative Affairs to the President. 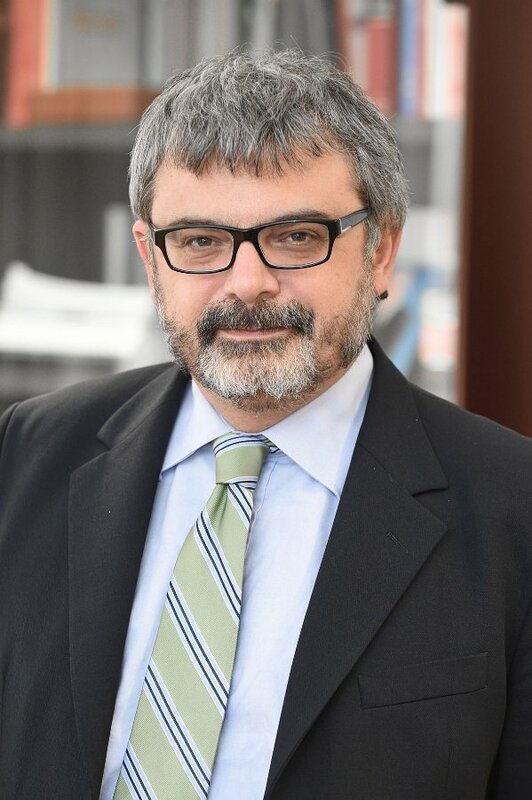 He has authored numerous publications on European law (for example on the services directive, company law, public procurement, professional qualifications) and is a frequent contributor to various Italian newspapers such as Il Sole 24 Ore. In Le libere professioni in Europa: regole e concorrenza per il mercato globale (Egea 2001, forward by Ana Palacio) he illustrates the legal framework and the regulatory perspectives of the Liberal Professions in the European and global markets. His latest book “In principio è la rete” (Marsilio 2014, forward by Malcolm Harbour), presented as opening event at Venice Digital Conference in July 2014, analyses the Internet’s impact on our society and its governance. He lead the workshop Zero rating, Open Internet and Freedom of Expression at the Internet Governance Forum 2015 in Joao Pessoa, Brazil.